Bright-coloured coats are definitely having a moment, with them being spotted all over street style blogs and catwalks alike during Fashion Month. 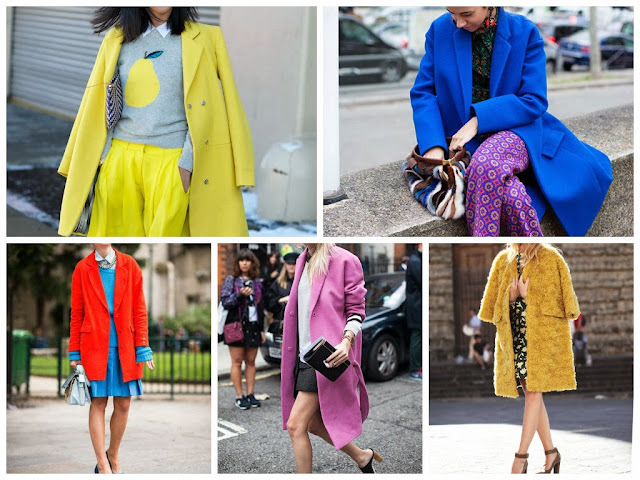 An oversized coat in a bright hue is the perfect way to inject some colour into your winter wardrobe, not to mention how much it can cheer you up during the more gloomy weather spells we so-often get here in Ireland. I personally love the more oversized, boxy styles, as I think the masculine tailoring contrasts beautifully with the bright feminine colour. The only difficult part is choosing which colour to go for! True blue? (not-so)mellow yellow? or pink, to make the boys wink!? I have sourced my top picks to nail the trend, and I am delighted to announce that they are all under €50, so your bank balance will definitely thank you! Bottom L-R: Dusty Pink, Yellow, Baby Blue. 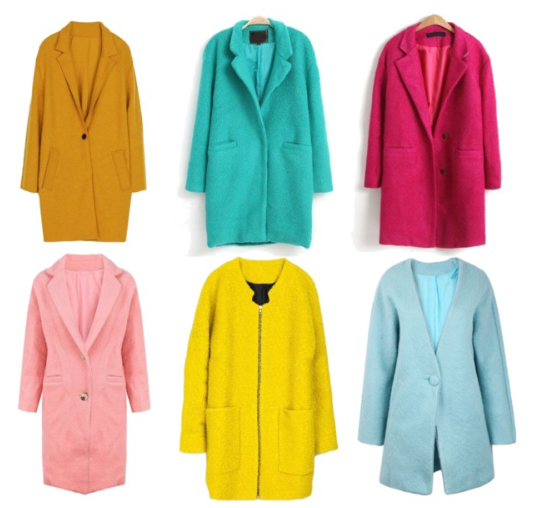 I had a good root on all of my favourite online stores for the best colour-pop coats to feature in this post, and usually I would give a varied selection of stores, but after searching. I had to admit that, for this particular trend, the best choice and value by far was found on websites like Romwe and Sheinside. I hope you guys liked this A/W Coat Edit series overall, if you missed any of my previous features you can check out my Cape, Masculine, and Trench edits, they're sure to give you some inspiration for your A/W coat choices! I myself have purchased one of the pink coats featured above (the top right one) and I cannot wait for it to arrive! I have been smitten with pink coats since photos of blogger Camille in her beautiful bubblegum-hued coat surfaced during London Fashion Week, but I just couldn't justify the designer price-tag. I would love to know if there are any other trends that you would like me to feature in this type of "Edit" series, feel free to drop me a comment below and I will do my best to accommodate you. I have lots of blog-posts lined up for the week ahead, including a few outfit posts and a brand new eBay bargain post, so be sure to keep an eye on WCS so you won't to miss out. Wishing you all a great week ahead!